We traveled around Thailand for about 21 days, and in that time we spent two weeks in Phuket. We arrived not knowing what to go see, where to stay, and how to get around. 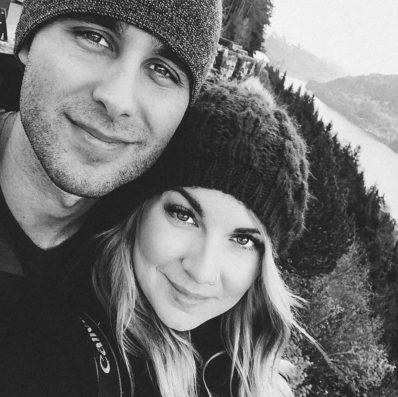 Sometimes it’s fun to figure it all out once you get there; after traveling for 1 1/2 months already, we were tired of planning. Doing things spur of the moment was the break we needed. Phuket is a ridiculously busy tourist destination. We arrived during some European holiday, and it was extra crowded. I wasn’t a big fan of how ‘touristy’ it was, bumping into people as we were walking on the sidewalk, and vendors constantly chasing after us to buy something from them. However, it’s an easy island to navigate, and after renting a scooter, we enjoyed the freedom we had riding it around. Are you thinking about visiting Thailand? Here’s a list of our top 10 things to do in Phuket. 1. Eat Thai food : My mouth is watering just thinking about this. Thai food is cheap and you can get gigantic bowlfuls of curry, noodles, rice dishes, and soups. 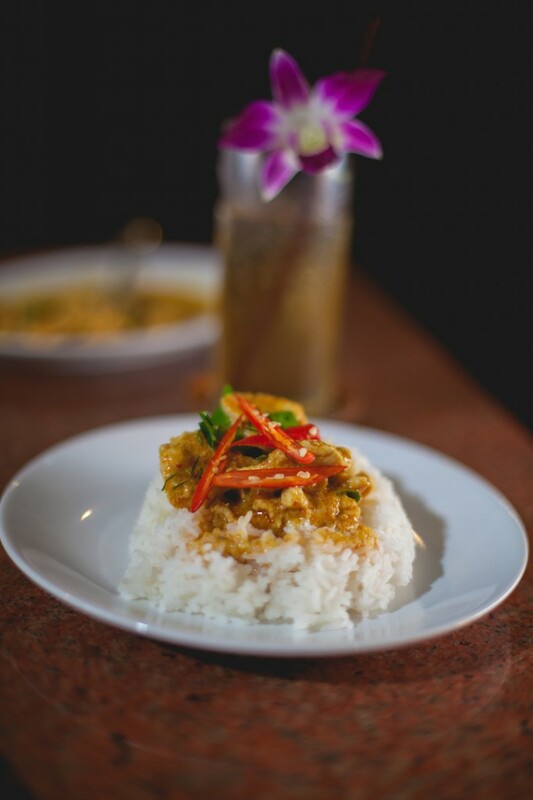 Thai food is so flavorful and rich be prepared for a stomachache or two at first as your body gets used to the spices, herbs, and coconut milk. I think I ordered massaman curry every other day. It’s so good. 2. Tiger Kingdom : Wrote about our experience here, and I’d have to say it was one of the coolest experiences of my life. 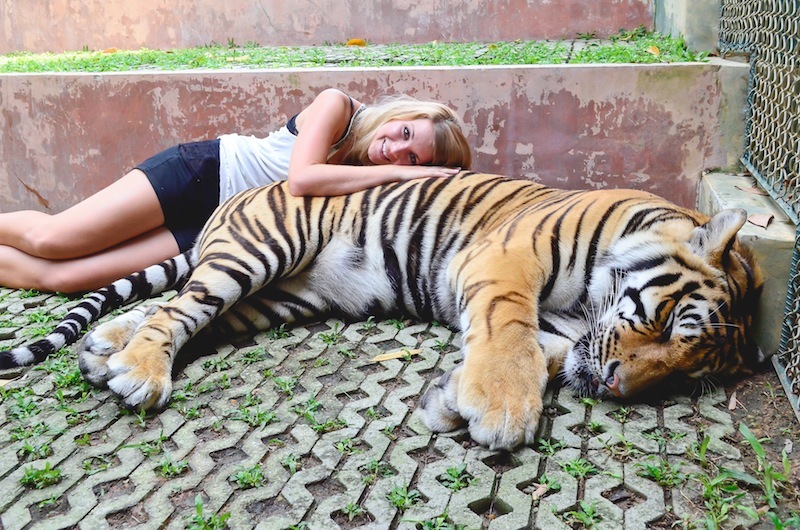 Sure it’s a huge tourist trap, but who wouldn’t want to cuddle with these gigantic creatures for the day? 3. 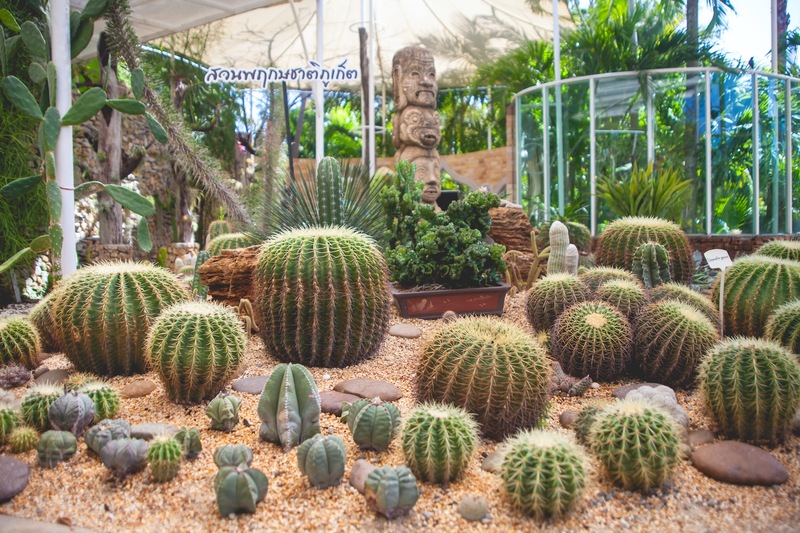 Phuket Botanical Garden : I was happily surprised about this one. I enjoyed peacefully walking along the paths filled with flowers and vegetation, listening to the birds sing, and breathing in the sweet smell of pollen. Phuket Botanical Garden was glorious. Well, except for the mosquitos. 4. Go to a bee farm : We randomly went to the Big Bee Farm in Phuket on a city tour. I loved learning about the honey making process, holding the hive of bees (I was the only one brave enough to do it surprisingly. Call it ignorance), and eat honey ice-cream. The ice-cream alone makes the visit worth it! 5. 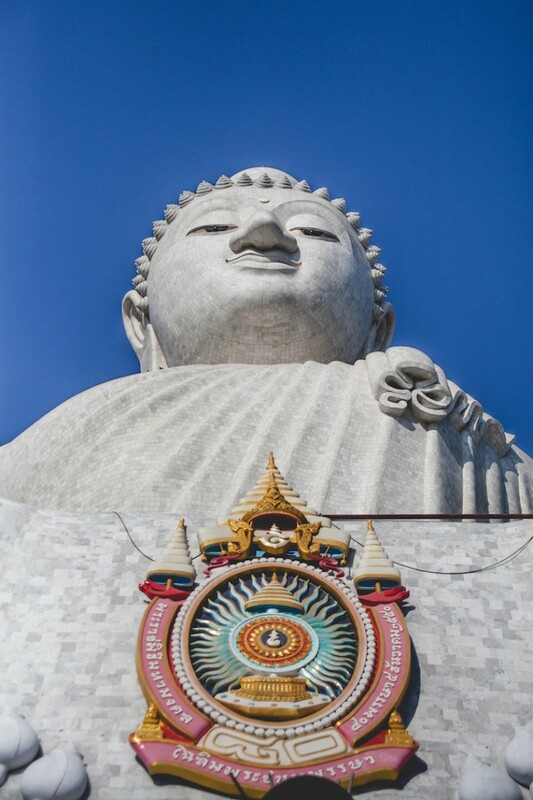 Big Buddha : Also saw this on our city tour, and it’s definitely not something to miss. The views from the top of the mountain, the Buddha statue (which is still under construction), and watching the monks go about quietly doing their chores was a once-in-a-lifetime experience. 6. 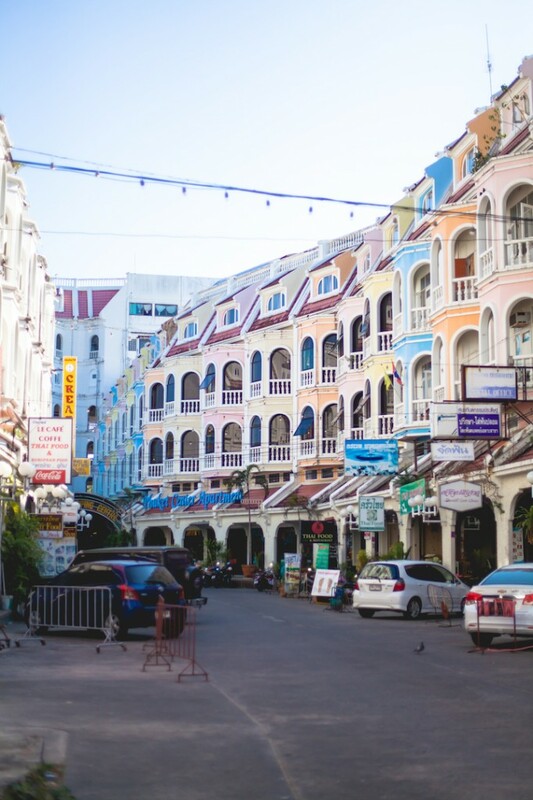 Phuket Town : If you’re wanting to experience Old Thai culture with a mix of Western/European influence, then Phuket Town is for you. Loved the quaint architecture, artsy coffee shops, and the old temples filled with incense! Be sure to try the Thai Food in Phuket Town, it’s some of the best on the island! 7. Get a tailored suit : One of the greatest things about Thailand is the cheap (yet high quality) custom made clothing. My husband grabbed the friendliest tailor (trust me there’s at least five on every street), and ordered an entire business wardrobe. He had 5 dress shirts, two full suits, and a tie custom made just for him for $300 dollars. You can’t even buy one quality suit back home for that price, let alone one that was custom made for you. 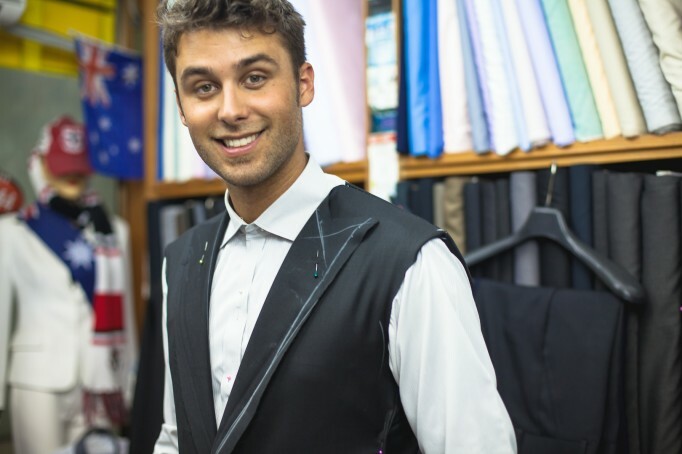 After ordering and getting fitted, Derik had his suits in hand in less than three days. 8. Hard Rock Cafe : One of our favorite things to do at night (doesn’t matter if we’re in Bali, Honolulu, or Phuket) is go to Hard Rock Cafe. The music at Hard Rock is unmatched. Sure the drinks are expensive, but you get a pretty amazing free concert that goes on for 3+ hours. If you’re a music lover, you won’t regret going. 9. 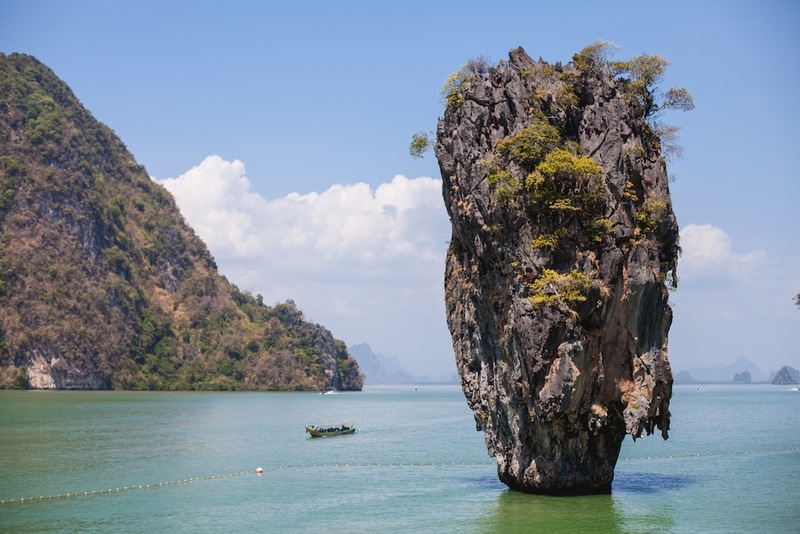 Take a boat to James Bond Island : Phuket offers quite a few tours by boat, and we chose the one to James Bond Island. If eating lunch on a boat, kayaking, getting some sun, swimming, and seeing a landscape from a movie filmed in the 1970’s then this tour is for you. It’ll take up the whole day, so be sure you’re prepared for that. 10. 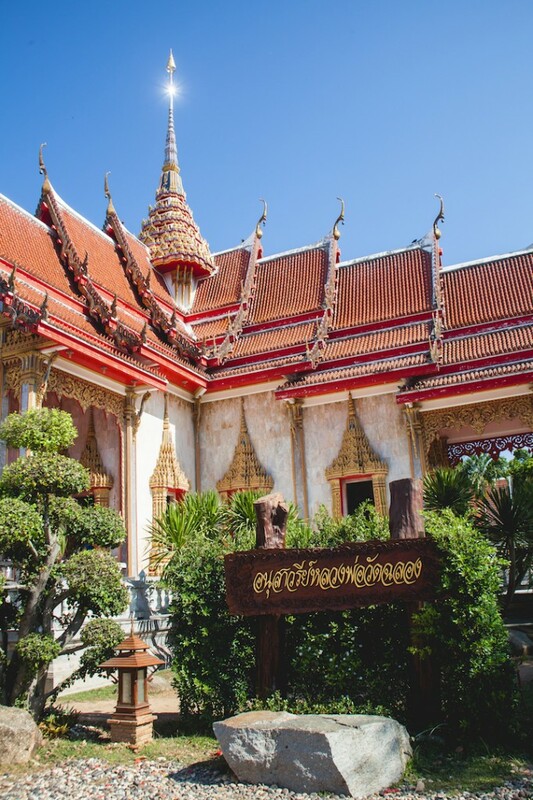 Visit a Thai temple : If you’re wanting a break from the traditional temples and palaces of SE Asia, you have to visit a Thai Temple. 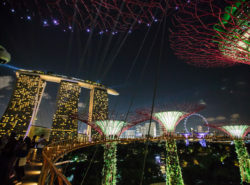 The ornate and colorful decor, gorgeous architecture, and beautiful landscaping will make you want to see more. Our first Wat (temple) was Wat Chalong, and we went to quite a few others after that in different parts of Thailand. However, if you go to too many, they all start looking the same, so you have to find the ones that are truly unique like Wat Chedi Luang in Chiang Mai, or Wat Ron Khun in Chiang Rai. Have you been to Phuket? What was one of your favorite things to do?